As a result of grant funding, we can train local unemployed people in Barnsley and Leeds. 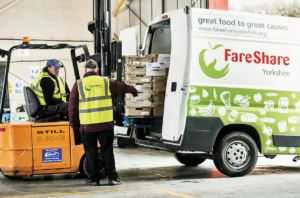 Over an 8-12 week programme you can learn valuable skills and gain relevant experience in food logistics operations. A dedicated mentor is provided to help you gain confidence, skills, qualifications and volunteering to improve your prospects of securing paid work. 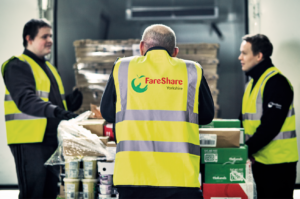 We support people to overcome any barriers they are facing when it comes to moving into work as well as helping with soft skills such as timekeeping, language, personal hygiene and team-working. 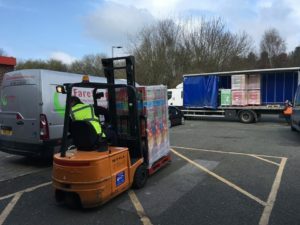 – The opportunity to provide food for tens of thousands of people in need at Yorkshire’s largest food charity. “The Employability project in Barnsley is a fantastic resource for people of all ages to gain skills to help them gain employment and confidence. Many of these people have never achieved paid employment before. Leaving them without the skills both social and employment to gain and maintain employment. At Royal Mencap we have referred people to the course that will gain the skills and confidence that they desperately lack to help them move forward into employment. These young people have been left socially isolated since leaving college, and since working with us at the beginning of year have developed massively in confidence within themselves, we have done voluntary placements and group volunteering to build up their skills and travel ability. 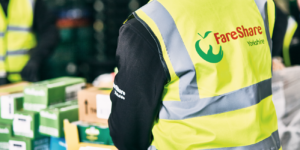 1) Attend an induction where you will receive certificates in manual handling and food hygiene. 2) Help us to understand your ambitions and any barriers to employment so we can do our utmost to help. 3) Sit down with us at the end of the programme to get your feedback. 4) Commit to attending 3 full days a week for at least 8 weeks, display good behaviour and act safely.